GRAND RAPIDS, Minn. (November 15, 2018) – Blandin Foundation announced today that it has selected four Iron Range entities for intensive, two-year partnerships with the Foundation to advance local broadband initiatives. East Range Joint Powers Board, Iron Range Tourism Bureau, Laurentian Chamber of Commerce and Tower Economic Development Authority all were successful in their bids to become Blandin Broadband Communities (BBC). 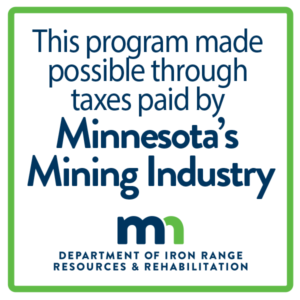 Made possible with funding support from the Minnesota Department of Iron Range Resources & Rehabilitation and St. Louis County, this selection is unique in that all organizations are located in Iron Range Resources and Rehabilitation’s northeastern Minnesota service area. Communities were selected based on demonstrated commitment to work together across sectors to set and meet information technology goals and bridge digital divides. Blandin Foundation staff and consultants will work with the four communities to provide planning, technical and financial support as diverse, local leadership teams design and drive digital technology initiatives that position their communities and every resident for greater success. This Iron Range cohort joins 36 rural Minnesota communities that have gone through the BBC program. Next steps for each community include assessing the community’s current broadband access and use and, in early 2019, holding a series of public planning meetings. Additional background available on the Blandin Broadband Communities program.